River Fish Cuisine at a Simple Shack along the Chikuma River. 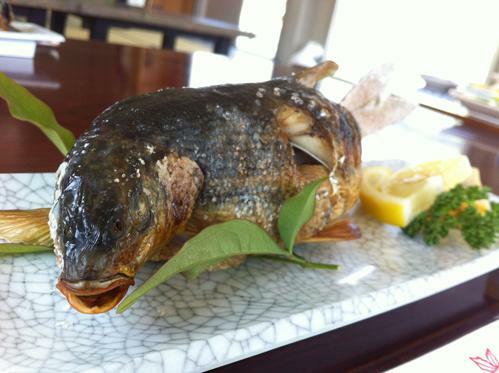 Do you like eating river fish? I mean really, really like it? 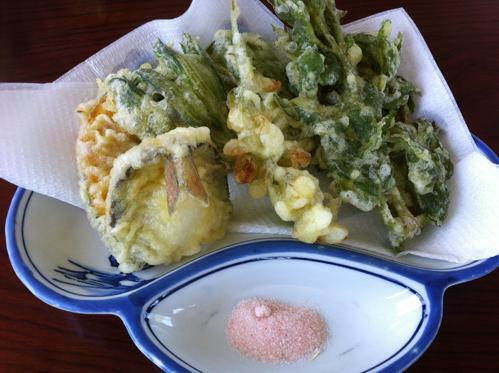 And does the idea of eating river fish in a simple shack along side the river from where the fish came sound appealing? 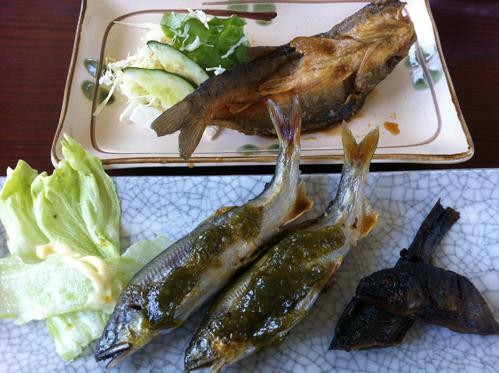 Then perhaps you should try a “Tsukeba” fish shack like Miyairi Tsukeba along the Chikuma River where you can eat a course featuring local fish like "haya" and "ayu". The owner, Miyairi-san, doesn't speak English but will enthusiastically use body language. During spring, Miyairi-san uses a net to catch 'haya' in the river alongside his shack. If the timing is right, guests can experience throwing the net, too. From Togura Station (Shinano Railway), Walk out to Route 18 (Togura Station signal) and turn left. Walk south 250m to the Togura signal and turn right onto Route 55. Go west 500m to the levee road (Taisho Bashi signal) and turn right. Tsukeba shack will be on the left across from the middle school. (Approx. 15 min. on foot) **Note: Levee road is narrow so walk with caution. From Sakaki IC, Follow Route 91 down 1.4km to Route 18 and turn left. Proceed north 6.4km to the Togura Signal and turn left onto Route 55. Go west 500m to the levee road (Taisho Bashi signal) and turn right. Tsukeba shack is on the left.